A few months ago, I posted a feature on the Ultima X: Odyssey (2003) song “Gothic Combat” by Chris Field of Pirates of the Caribbean and Lord of the Rings fame. Shortly afterward, the composer’s studio contacted me to let me know if I wanted a copy of the soundtrack to share. Due to my schedule, it has taken me awhile to prepare the album for release, but here it is in MP3 format (a FLAC version will be coming as soon as I can figure out how to get my software to properly generate a cue sheet). UPDATE: FLAC Version is now on MegaUpload. UXO is quite the musical odyssey. Though the game was never released, its score provides a unique look into the aural journey of a quest never taken. Mr. Field takes us from rolling fields to the dark forests of Kingwood and up the ethereal slopes and dancing snow of Glacier Pass to Mount Bold, rising tall, majestic, and dominating. From here we reach the caves and fortresses of monsters, the looming darkness of “The Black Gate” and “Redfangkeep” with its minimalist, silent corridors and the brewing tension of ambush. While there does appear to be an epic confrontation in the “Mouth of Evil”, this opens up only a more distant land beneath the “Desert Sun” – there is no end to the quest of an MMORPG, no final credits, only more territory to traverse, more adventures to unfold. The score of UXO is in many ways a step beyond Ultima IX: Ascension in that the score used an 81-piece orchestra conjuring sweeping vistas and epic adventures as opposed to the more intimate recordings of the smaller orchestra from Ultima IX. This is further enhanced by the tremendous acoustics of Bastyr University Chapel, whose architectural style is doubly fitting for the medieval themes of the score. 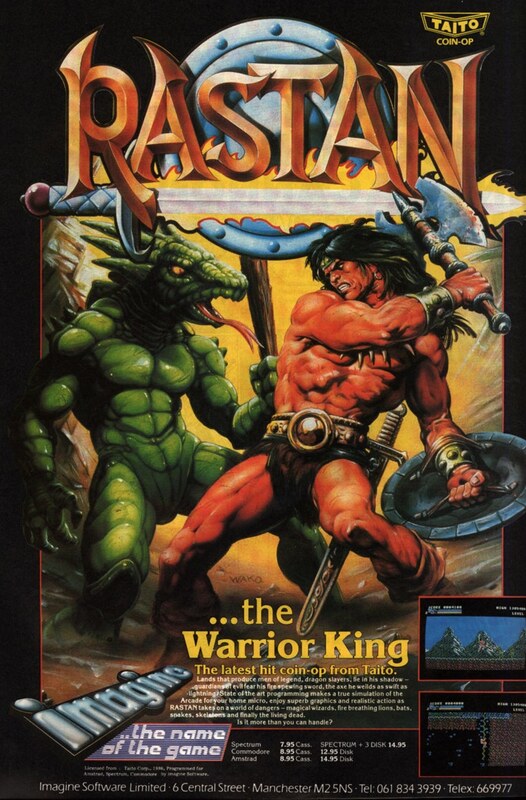 The recording of this forgotten game was clearly a crowning moment in videogame history when art was exalted above all else. Nobable is the “UXO Main Theme”, a proud, noble track opening the epic quest that lies before the player, beckoning them to follow this great odyssey through endlessly expanding lands. The song appears several times as a leitmotif, including the ragged, rock-strewn fields and clouded skies of the “Barren Plains” to heroic confidence amid the tense, stifling confines of “Serpents Hold”, and the last vestiges of the quest amid the barren wastes of “Desert Sun”. The battle themes are also well worth your attention, punctuating the stillness of the land with the heroic leaps of “Kingwood Combat” and “Mount Bold Combat” dramatic bounds from low to high, of nimble monsters clambering above the dizzying depths below… One of the most stirring of these is “Tribal Battle”, with its pounding drums through the roar of flames and the hoarse cries of warriors, a fierce, harrowing experience that completely engulfs the senses in the fury of the moment. UXO may have thematical similarities to previous Ultima games, but one thing that absent is the presence of arrangements (I’m thinking in particular of “Stones“, which had appeared in every single game since the sixth). However, UXO takes place in a different world than Brittania, so it would make sense the music is different. Still, if you are looking for a style that more closely fits that of, say, Ultima IX, look no further than “Rule City”, which has the tender strings and flute that characterized Lord British’s rule, a noble metropolis at the heart of the land. The only critiques I see is that two of the songs feel out of place. “Tribal Wars” feels too modern, more like a club than an orc camp (not that I’ve ever been to one, you understand), and “Desert Sun”, while offering elements of the Main Theme, has an enchanting flute that is more thematically tuned to the deserts of the Southwest than the neo-Medievalism of the rest of the score. However, “Desert Sun” is elegantly composed, and I assume felt right within the level it was played. Overall, an absolutely incredible score, which makes it more the pity that UXO – major game to composed by a famous traditional Hollywood composer – was never released and the majestic power of the score fully realized within the world of Ultima. I am glad to have the opportunity to share this wonderful soundtrack with fans of VGM Daily. I’ve been looking for this amazing soundtrack since I found “Gothic Combat” on this website months ago. Thanks to Chris Fiel and his studio for making the album avaliable for free download, and thank you for placing it here! Chris Field is the best!!!! Thank you, thank you, thank you! Wow. I just want to say, back when UX was still in development, I downloaded a couple of tracks the dev team had released. In 2005 I actually cut a track using the Mt. Bold Combat track as the sample. I assumed nobody would EVER know where it came from, since the game was cancelled. But now, thanks to you, somebody might figure out the source for one of my illest samples ever! Thanks for hosting this; this is a wonderful soundtrack! Do you happen to have a larger image of the cover? I’d love to print one out for a CD of the tracks. Thanks for hosting this soundtrack! Since MegaUpload has been shut down, would it be possible to upload the MP3 or FLAC version of this beautiful score to another upload service like Mediafire? Thanks so much for having the link! Hi, can you please reupload the FLAC or MP3 versions somewhere? Thank you!